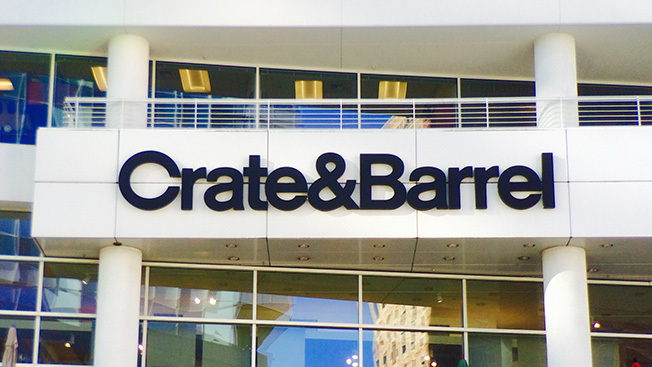 Crate & Barrel found a way to increase its Web sales conversion rate by 44 percent—and it wasn't through the meticulous, oft-employed procedure that e-retail wonks call multivariate testing. Instead, the home-decor retailer recently observed shopping habits in stores and applied those findings to its e-commerce site. The site boosted its revenue per visitor by 128 percent. And it achieved a 37 percent higher average order value. The Northbrook, Ill.-based chain wouldn't divulge specifics about its methodology or formally comment about what it's achieved, but we asked a couple of digital marketers for their takes on the intriguing case study. Specifically, we put forth the question: Should brick-and-mortar research be applied to digital commerce more often? The answers were somewhat surprising. "It's about time," remarked Alison Grippo, principal of digital strategy at the Sullivan agency. "Customers don't perceive brands differently online or offline. They expect the same quality irrespective of channel. And this is something that no longer is limited to what we typically call consumer brands." David Bozin, vp of growth development at local shopping app Bindo, agreed. "To think that shopping online is a [completely] different experience than in person is an incorrect assessment of human nature," he said. "Quite the contrary is true. We like what we like, and that is what leads us to buy." So while retailers for the last several years have made their store layouts more reflective of their social media presences, Crate & Barrel seems to show the opposite approach can work as well: Learning about the way consumers move around the store can help create better site navigation. Marketers of all stripes may want to mimic those efforts, suggested Grippo. "In our recent survey of executives that shop for business products online, the findings suggest that online [business-to-business] shopping experiences need to match the way they're sold by salespeople or on the ground at a conference," she said. Virtual reality, Gen Y messaging apps and wearables seem to get all the hype nowadays, but e-retail is still incredibly ripe for innovation and investment. For instance, the worldwide digital commerce sales space grew last year by 22 percent to reach $1.3 trillion in 2014, according to eMarketer. Such figures are central to why Facebook and Google have recently pushed their shopping-based ad products like never before.